Last week I gave a talk at the excellent SPARK Boston event along with some other marketing heros of mine including CC Chapman and Kyle Lacy. Of course the topic was Small Data, with a brief history of the topic and a drill down into my thoughts about the movement providing key inputs into a new design philosophy. I also teased the new mobile app my colleagues have been building with the smart folks from Raiz Labs – which provides a great use case for small data in action. You can check out my entire presentation and a few highlights of our new app in my SlideShare below. Enjoy! Are You Ready for the Embedded Revolution? Just as embedded processors (and cheap memory) sparked a new generation of smart systems and consumer devices like the smartphone, embedded BI and analytics – enabled by advances in big and small data processing, open source projects like BIRT and Hadoop, and rich APIs – has the potential to change the face of many categories of applications (and devices). Think hyper personalized and portable customer experiences, or smarter trading grids that anticipate disruptions or automatically seek out the best deal. Or new views into markets or business operations that reveal previously unseen relationships or potential innovations. Meanwhile we are all looking to get closer to our customers, by gaining a true 360 degree view of what they want and how they are interacting with us and each other. This is where some of the new Analytics-as-a-Service (“AaaS”) offerings like Watson Analytics and the recently launched OpenText Big Data Analytics in the Cloud fits in. Combining advanced and predictive analytics, delivered as an easy to use managed cloud offering, AaaS aims to bring the power of big data to everyday business users, creating one view of their customer base, with a super-fast dedicated analytics data base and pre-built algorithms for handling the most common marketing and operational analyses. The future of analytics is clearly about these types of tools that serve the growing population of “citizen data scientists.” It’s also about delivering insights from new data sources (think IoT) to users on their device of choice like smartphones, tablets or even smart watches. And building on a foundation of good information design (as detailed by Edward Tufte), blending the right unstructured and structured content, and applying the latest digital engagement models and approaches (like those from my friend and former colleague Esteban Kolsky). All of these scenarios will be front and center in the Analytics track at the upcoming Enterprise World 2015 event in Las Vegas in early November. I’ll be there with a cast of 1000’s delivering a couple keynote addresses as well as parts of several breakouts and demos looking at the role of big and small data, analytics and digital asset management, and helping to premiere our latest IoT demo (hint: it includes a network of Raspberry Pi-based sensors, an MQTT broker, and visuals powered by the OpenText iHub). Learn more about the event and our sessions by clicking here. 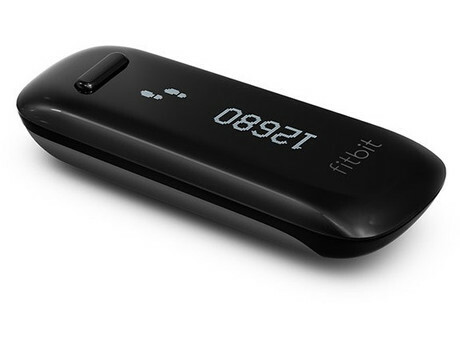 Back in the summer I explored the concept of “wise” devices being proposed by Fitbit designer Gadi Amit and introduced the idea that small data will be the OS for these mobile and wearable devices. Since then, my teams at Actuate have been exploring these ideas and accelerating our work around applying information design best practices for a new generation of rich mobile apps and embedded analytics. The goal: expand the boundaries and our understanding of what it means to assemble and display intelligence in context. We’ve also been teaming with our engineering group to look at new ways to demonstrate the rich APIs provided by the BIRT iHub to better access real-time device data, visualize it, and embed these packaged insights on “non-traditional” devices like smartwatches, tablets or even large-format displays. Some initial results – including a very cool IoT-telematics demo that leverages the BIRT technology stack and open data standards to show how to connect your car to your smartwatch – were first premiered by Actuate’s Kris Clark at EclipseCon Europe. And more recently this demo was updated and featured at our ongoing Data Driven Summit events, along with the IoS tablet app shown above which demonstrates rich, fluid visualizations in a mobile BI scenario. These concepts and Actuate’s overall strategy for the Embedded Analytics market were also part of a media and analyst roundtable during our London event. And judging by the press coverage (see here, here and here), “Wearable BI” is a pretty compelling idea! The great thing about getting into the field and sharing perspectives with practitioners and project owners around the globe (I’ve been in 6 cities on 3 continents over the past 3 weeks, speaking to and sharing with hundreds of attendees as part of our Summit program) is that we have fresh insight into how organizations are looking at visualizing their data, and where they are focusing in 2015 and beyond. As expected, mobile devices and data are a big driver, but so is the idea of operationalizing transactional big data by embedding analytics in more places, and making these insights more consumable by more users by raising the bar in terms of information design. In fact my colleague Mark Gamble’s session on Visualization and UX Best Practices – featuring the best tips from Edward Tufte and Stephen Few and our own team – has been consistently one of the most popular and highest rated sessions during our recent tour. The Small data philosophy is even more relevant today than when I started writing about it 2 years ago in Forbes. More analysts and companies are focusing on the “last mile of Big Data” as the place where value is created, especially when tackling everyday marketing challenges and designing data-driven apps for mobile and IoT. Since my last post some good articles to check out on the topic include these new pieces in Fortune and Forbes , my latest op-ed in CMSWire, and this cool infographic from Constant Contact. For data-driven mobile apps, a native/hybrid approach works best. Sure, native is great for games, but if you are creating real business apps, there are benefits of having some native code local to the device, and some non-platform-specific components resident on a back-end server to provide maximum flexibility and performance (and re-use!) for serving up rich visualizations that scale up to millions of users, and scale down to match individual preferences and limitations of small displays. For more detail, I’ve posted the slides from our Mobile and IoT session at Data Driven Summit on my Slideshare. 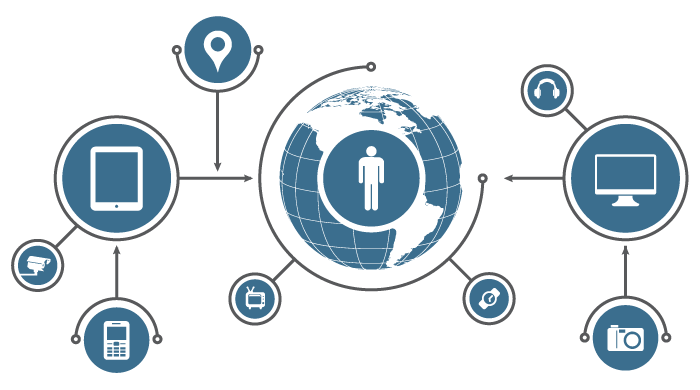 Many organizations are looking to bring the power of big data to the masses. In fact this is arguably one of the top priorities for 2015. This means taking a fresh look at ways to turn data into information, and information into embedded intelligence, one of the themes Actuate’s CEO touched on at our Summits. It also means envisioning new use cases and new UXs for mobile (like our smartwatch app) – something BI guru Howard Dresner has proposed, and serving up alerts and contextual visuals that are foundational to the next generation of wearable BI and intelligent apps. So, what’s on your list of project for 2015? I’d love to connect and hear about your plans. Also, if you are in NYC on December 3 and want to see our IoT demo live and hear from customers, BIRT experts, and industry gurus about the latest thinking around data driven apps, there are still a limited number of seats for Data Driven Summit – New York. You can get more info and sign up (it’s free) here. In a thought provoking interview with CNET published this past week, Fitbit designer Gadi Amit explores the use of wearables in everyday applications – and introduces the notion of “wise” devices that provide just the right information, when and where we need it. The interesting thing is when I say that, people immediately jump to the conclusion that we will be cyborgs. My goal with designing this is that we won’t be cyborgs. We actually will become more human and more free from the technology. What we have now in the design business is two camps: there is the camp that wants to create a lot of data and wants to analyse a lot of data; and there is the other camp which I belong to that tries to create devices that are not smart, they are actually wise. They are more than smart, they are wise enough to understand you, to filter and allow you to go on with your life with all their data processing in the background giving you hints of what is essential when it is essential. Having data processing in the background and focusing on what information is essential is of course very much in line with the small data “aesthetic” we’ve been promoting here and in a number of venues over the past 2 years, so it’s cool to hear validation from another corner. As a former AI/machine learning guy, I also like the idea of “wise” devices that understand context and personal preferences, and can make a case that small data will in fact be the new “OS” for these devices (more in a future post). But even more so, if we think of the cyborg comment as a challenge to all of us, I think we need to consider the element of “humanness” as we create new apps and digital experiences. And perhaps provide better opportunities and incentives to untether/unplug (partially?) from our digital devices, even as consumers clamor for faster, more personal, more portable, and ultimately more satisfying data-enriched experiences. Speaking of the new data consumer, I’ve been spending more time with developers and those thinking about the future of customer facing apps, and recently created a talk on design principles that builds on some of the work you’ve read about on this very blog. As always I believe that data-driven design is an art and a science, so it’s been fun to brush up on the science/tech part for sure. Of course our first job is still to think about the end-consumer, and how we can inform, connect, and motivate them to get involved or take action. As an aside, if you’ve paid attention to how I’ve presented this last point, I’ve always used Nike Fuelband as my example, so with news that Nike is getting out of the fitness hardware business (good analysis in this Gigaom piece), it’s been interesting to see Fitbit and even Samsung step up their efforts ahead of the likely fall iWatch debut. On the business side, beyond understanding the value of data along the customer journey and focusing on “last mile” functionality, having a scalable foundation that can potentially support millions of users and large data sets from many sources (before it is transformed into useful small data) is essential as we look to bring powerful, yet human-scale, smart (wise) apps to the masses. 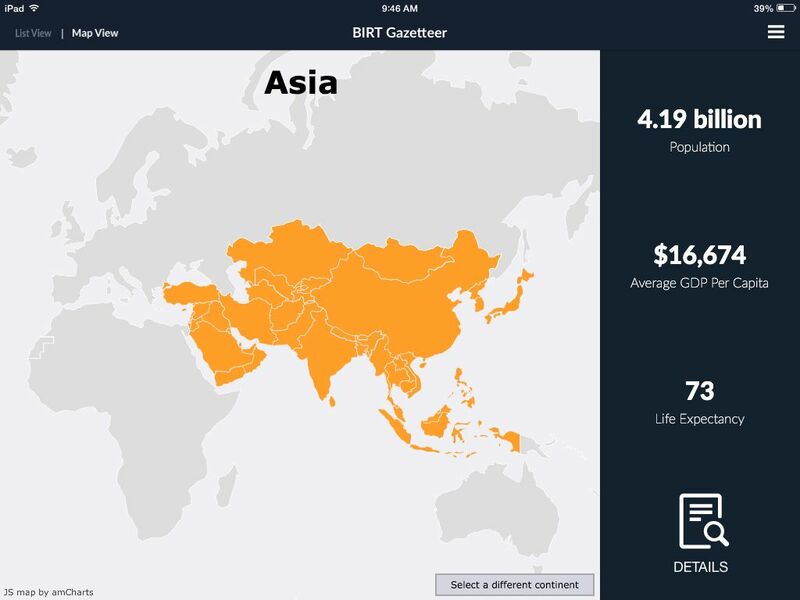 So is a community to drive innovation – like the 3.5 million BIRT developers, or 600K+ Drupal users and coders. Many of these ideas (and some examples) were covered in the talk I did with SD Times recently. There’s a link to the replay and a summary by my colleague Fred Sandsmark on the Actuate blog – which you can read here. I also presented a longer version focused on bringing the power of advanced analytics to “everyday tasks” at the CAMP IT big data event this past week, (a well-produced event by the way) and plan to post those slides to my slideshare shortly. Finally, I will be moderating a very cool expert panel on “building the next big app” at a special event Actuate is hosting in San Jose on the evening of July 10. Scheduled to join me on stage will be Eclipse Foundation Executive Director Mike Milinkovich, plus industry watcher and enterprise apps futurist Esteban Kolsky, along with 1-2 other special guests. We’ll explore how consumer experiences will (and are) be shaped by new devices and data, open source driven innovation, and next-generation design tools and practices. Be sure to let me know if you’ll be in the area and want to join us, since I have a limited number of VIP passes to share.